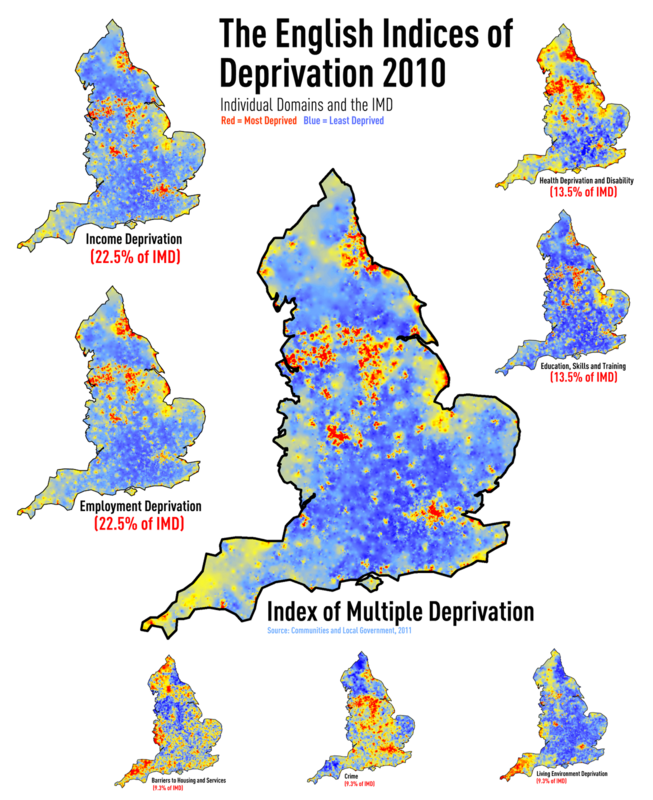 In the above image, you'll see that I've produced a raster map for each of the different domains of the English IMD 2010 and that each is sized according to the percentage weighting it gets in the final IMD. There are some interesting differences between domains which, by the way, are covered in Chapter 3 of the technical report. The fact that these domains are in different spreadsheets makes mapping it all a bit more time-consuming but since I combined them all anyway I decided to create raster versions just to provide a more fluid overview of the patterns across England. I'm sure I'll keep milking this data for a while!